While the USC faithful have been celebrating the firing of Lane Kiffin, few realize how many people are affected when the head ball coach gets his walking papers. In my FIRST position meeting in Jacksonville, my tight end coach Alfredo Roberts introduced me to the NFL. He said, “When teams don’t win in sports, two things happen, coaches get fired or players get fired. 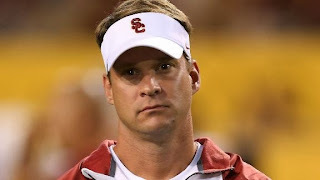 The coaches just got fired, so guess who is next if we don’t play well.”. In the world of college and professional sports everything boils down to two things, winning/losing and money. Good players are released or traded because they make too much. The NCAA continues to find additional revenue streams to make money from athlete’s likeness. Coaches aren’t fired because they have too many years and too much money left on their contract. Ever wonder why coaches win and continue to ask for additional years to their contract? Head coaches typically have a guaranteed contracts, unless they get fired for “cause”. FYI, losing is not “cause”. You have to pull a Bobby Petrino (Arkansas) or Mike Rice (Rutgers) to get fired without pay. The head coach gets all the praise with wins, and all the blame when you lose. But, it is nice to be the head man because when you get fired with years left on your contract, you have a golden parachute. If I were a head coach, sign me through the 2025-26 season. expectations and are fired, they leave with some financial security. They often have assistant coaches who are doing a great job, but they typically get thrown out with the head coach. You could be the best tight end coach in the world, but when the head man goes, so do you. Assistant coaches and their families are affected the most. Most assistants make peanuts compared to the head coaches salary. 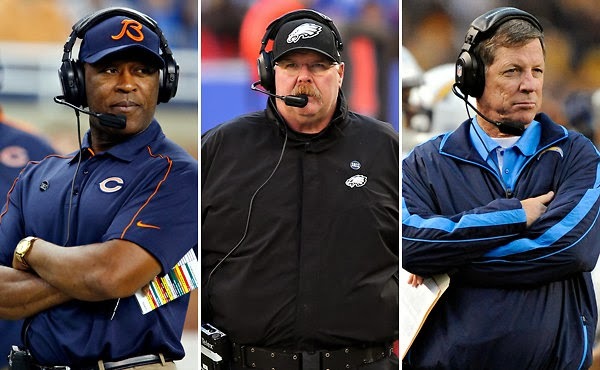 Even when the head coach doesn’t get fired, they often change assistants through the years (for various reasons). There is NO job security. Assistant coaches are typically journeyman until they get the job security of being the head coach. Most never achieve their dream, and are tied to finding job with the guys they have worked with in the past who get jobs. Their families are drug across country searching for stability and their dreams to come true. As much as assistant coaches love the game, they are no different than any other husband/father. They are using their particular set of skills to provide a comfortable, and stable life for their families. Since 1999, when I graduated high school, Alfredo has had a job every year because he is a GREAT tight end coach, but has made stops at Florida Atlantic, Jaguars, Browns, Buccaneers, and is currently at the Colts. He has a wife and kids, but the only roots he can put down are the roots on his coaching tree. Imagine every year, win or lose, not knowing if you will have a job. Imagine the stress it puts on your wife, children, friendships, and families to move from place to place for years, just hoping for the day you land the big job. According to USA today, “The average major-college football assistant coach now earns roughly $200,000, a USA TODAY Sports analysis finds”. The list of the top 124 college coaches 2012 salaries and their assistants totals is very interesting. Next time you wonder why there is very little loyalty in sports, know why. If you were a coach would you be loyal to a program or team that will throw you out without notice? Or would you continue to look for the best available opportunities until you optimize your personal goals, and maximize your family’s happiness? A pro coach’s dream career should look like this: Get a position as a quality control coach for an NFL team, do well and a position coaches job opens up on that staff, someone recognizes you as a young talent and you land a coordinator job, your offense/defense is tops in the league for 2 years, an owner takes a huge leap of faith and hires you NFL coaching job with not head coaching experience, win a bunch of games, win a Super Bowl, get a long term contract, get fired with 3 years left on your deal, ride off into the sunset and have fun being a grandpa, and hold seminars and mentor new young coaches. A college coach’s dream: Get a position coach job in college, someone recognizes you as a young talent and takes a huge risk on you as a coordinator, you have great success and land a head coaching job at a mid level division 1, beat some big teams and go to bowl games, get a job a big school who has been struggling, build the school into a powerhouse, get a NFL coaching job, win a Super Bowl, get a long term contract, get fired with 3 years left on your deal, ride off into the sunset and have fun being a grandpa, and hold seminars and mentor new young coaches. Coaches have to look out for themselves and do what is best for their families. That type of system trickles down to the players. So when your favorite player changes team, just realize it is part of the cycle. Loyalty is sports is bought, and it usually only lasts until someone else has a bigger, better deal for you. Is your loyalty for sale?